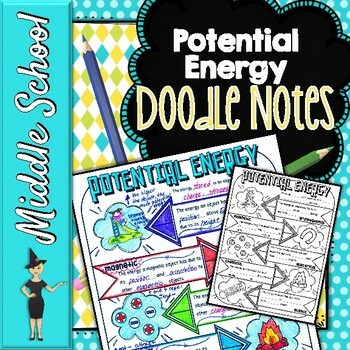 Physical Science Doodle Notes - GROWING BUNDLE! Science Doodle Notes - Growing Bundle! 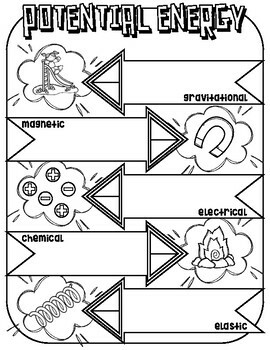 Looking for a fun, engaging instructional resource for potential energy? Why not give doodle notes a try? 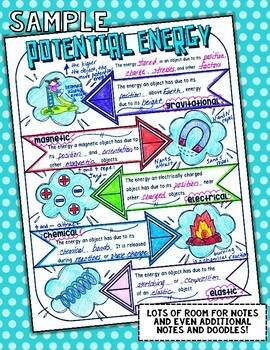 Potential Energy Doodle Notes will aid in student concept retention, focus, creativity, and engagement. Students will use this graphic organizer to identify, define, and illustrate gravitational, magnetic, electrical, chemical, and elastic potential energy. Students will gain experience in synthesizing information and creating their own tangible connections in their notes. Doodle notes are a great addition to interactive notebooks and can be used as mini personal anchor charts for your students! They can be used as teacher guided instruction or as individual/pair assignments. Have students share their doodle notes and discuss key ideas to fill in any gaps and to solidify their learning! If you like this doodle note, you can take advantage of my Growing Bundle of Physical Science Doodle Notes and save 33% plus gain access to all future physical science doodle notes for one price! Save even more with my BIG Bundle of Science Doodle Notes Purchasing this bundle allows you immediate access to all current doodle notes in my store and any future doodle notes, all for one price!